Browse commercial painting jobs in Reno, Truckee, and Lake Tahoe. 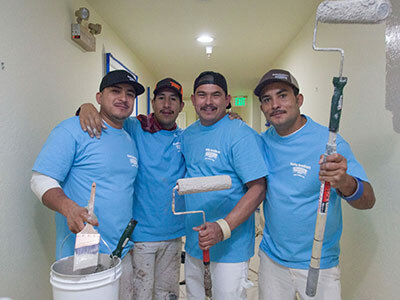 Enjoy steady and fulfilling work at one of the region’s top painting companies. Apply today! What are you looking for in a career? A great work environment? High-quality training? A job that is both challenging and fulfilling? Maybe you want the chance to become an expert at something through long-term work for a stable and well-recognized company. And it’s always amazing to know that your work makes people’s lives more beautiful and provides a service to the community. At Kelly Brothers Painting, we offer all of that and much more. At Kelly Brothers, no painting experience is necessary. What is required is a good attitude, and eagerness to learn, a good attitude, and a strong work ethic. We want to hire nice, friendly people, who know that part of their job is interacting with our valued clients and making them comfortable. We want our employees to volunteer, and to give back to the community at our sponsored events. We know we can always train skills, but you can’t train kindness. If you take pride in your work, value a job well done, and are excited about being part of an award-winning crew of painting professionals, apply now and we will contact you within 48 hours.